The Emergency Department Benchmarking Alliance (EDBA) is a not-for-profit organization which exists solely to support the people who manage emergency departments across the country. By maintaining an independent, unbiased database of demographic and performance metrics. This database contains some of the cleanest information in the business. It is created by the membership, for the use of the membership, and has no commercial interest attached to it. As of January, 2019, we have over 1,700 hospitals represented in our database. By fostering community, sharing, support, and mutual advice for people with operational responsibilities in emergency services. By co-sponsoring regular educational events relating to ED management. By sponsoring consensus conferences, which bring together authoritative people from, and relating to our field, in order to set national standards and influence national practice. By providing a framework and support for research relating to ED operations. By pursuing these goals, we also support another important goal: The identification, development, and implementation of future best practices in Emergency Medicine. 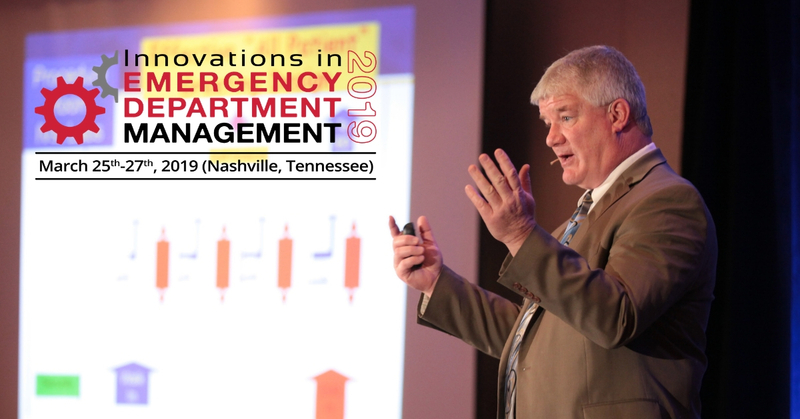 EDBA was founded in the early 1990’s by Emergency Department leaders representing large ED’s in the mid-west seeking solutions to local service issues. Over the years it has expanded in scope, mission, and geography. The database now includes hospitals of all sizes from all over the country, and our educational, research, and consensus-building activities have national implications. EDBA welcomes all disciplines of Emergency Department leaders, including physicians, nurses, and management. The current President is Dr. Nick Jouriles MD. Effectively managing an ED, especially in this time of tremendous service pressure and rapid change, is one of the most challenging jobs in health care today. ED managers across the country tend to share similar problems and interests, and in essence speak a common language which is not understood well by those outside the specialty. One of the best parts of EDBA membership is being connected to others within this world, and being connected with new skill sets and concepts which can help address these specific issues.